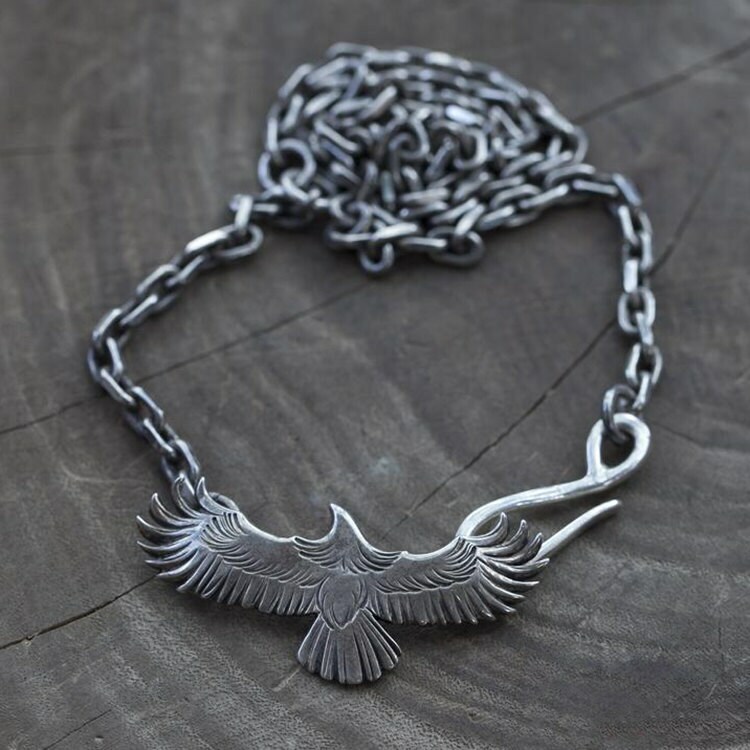 The silver eagle necklace is built around the eagle pendant - representing a popular motif of the Native American culture. 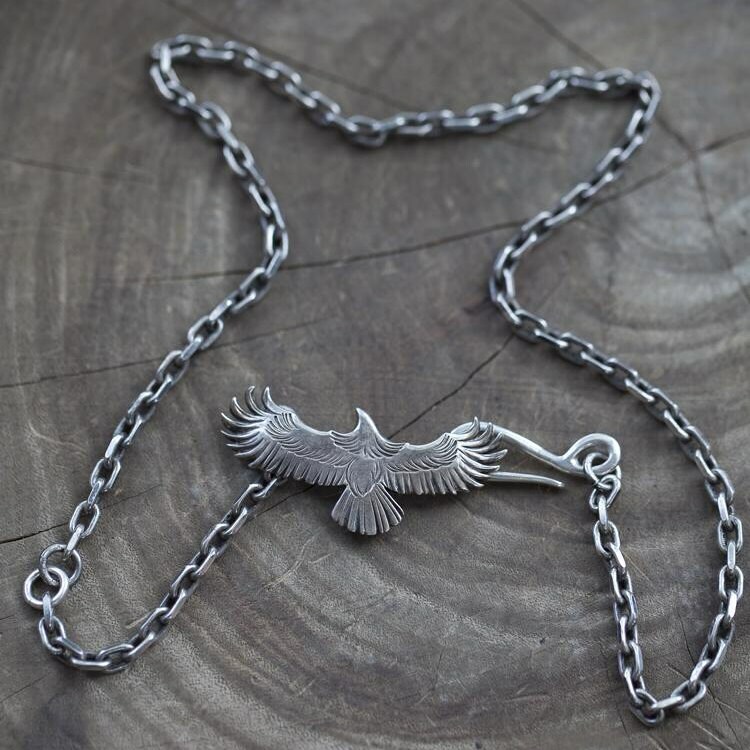 In the Native American tradition, the eagle is a symbol of wisdom and honor, and its feather is a highly prized possession - wearing it is a privilege that is EARNED. 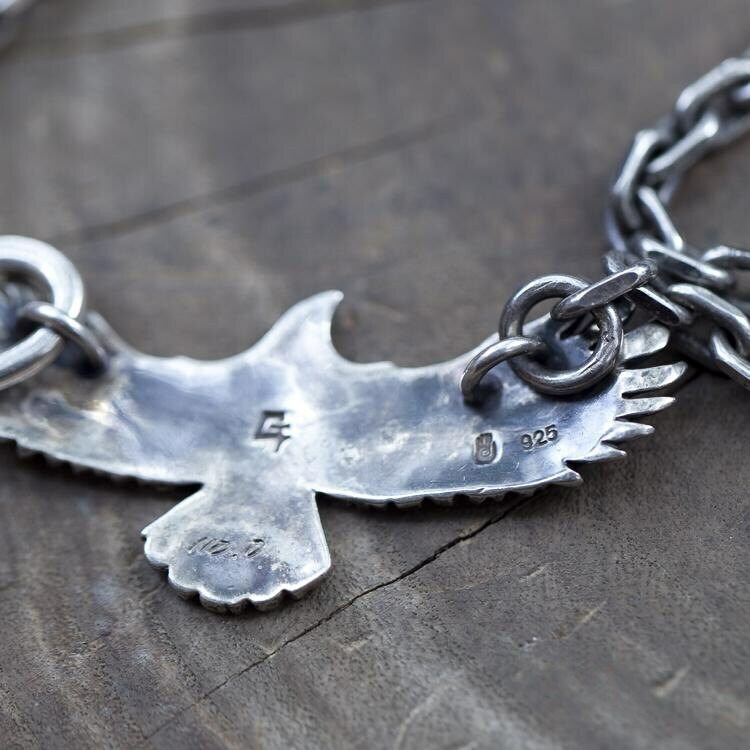 The necklace is designed to reflect and enhance the toughness of an eagle - the solid, chunky silver chain, and the prominent fish-hook clasp that closes the necklace. 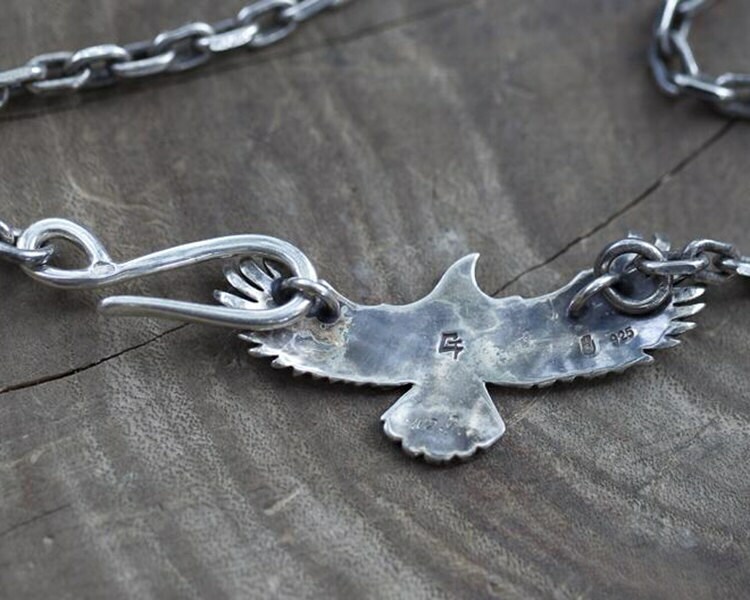 We also offer larger sized silver eagle charms for custom orders. Note: We will engrave our small logo on the hook clasp and on the back of Eagle, we NEVER sell any jewelry without our logo. Necklace Length Options(including hook clasp and eagle): 50cm/19.7inch, 55cm/21.7inch, 60cm/23.6inch. 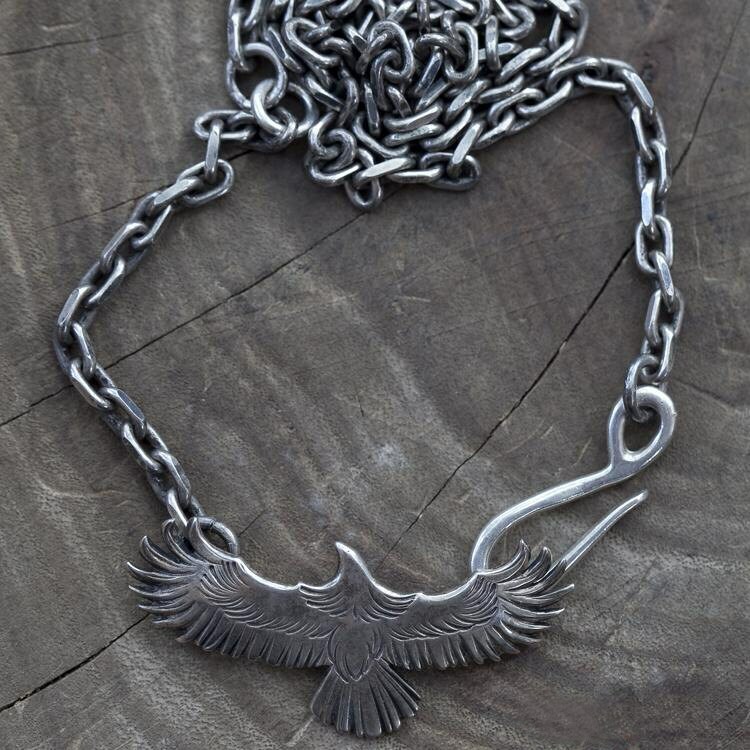 The silver eagle necklace is available in two finishes - the original, shiny silver finish, and an oxidized, vintage finish.